Table runners are perfect for giving your room a new look without spending a whole lot of money and time on it. They are kind of like pillows. They can add pops of color and design to the room pretty quick. 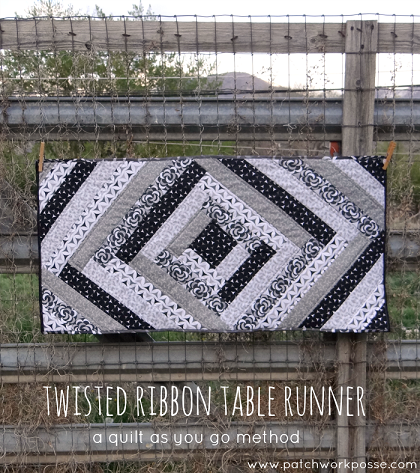 For this table runner, have a try at making a braided design. No template is needed…and if you put your backing on before you start you will have a quilt as you go project!